Grilled Polenta And Vegetables yum, ready in 30 min. Vegan, gf, dairy free. 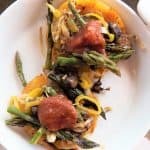 Grilled Polenta and Vegetables. This tasty dish can be ready in less than thirty minutes. Flavorful, healthy and easy, this will be a family favorite. 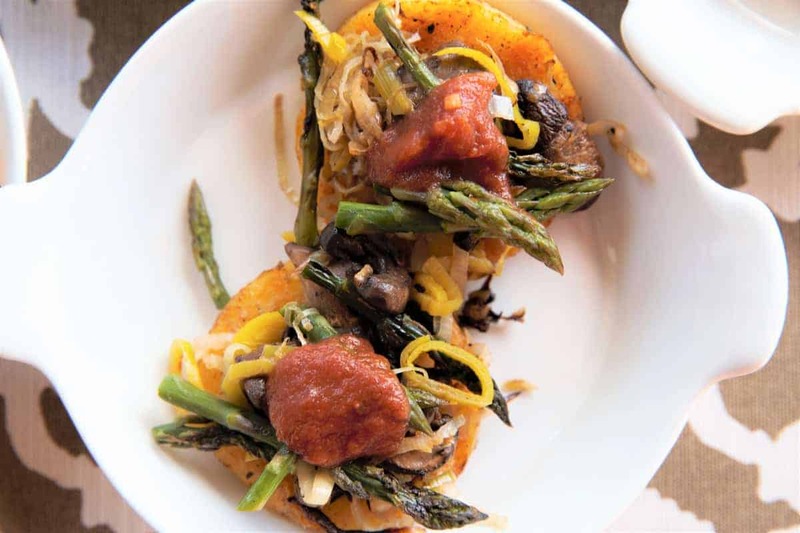 Fresh asparagus, sliced leeks and mushrooms and grilled with seasoned polenta and topped with marinara sauce, makes for a delicious, nutritious meal or snack. Don’t have those vegetables on hand? 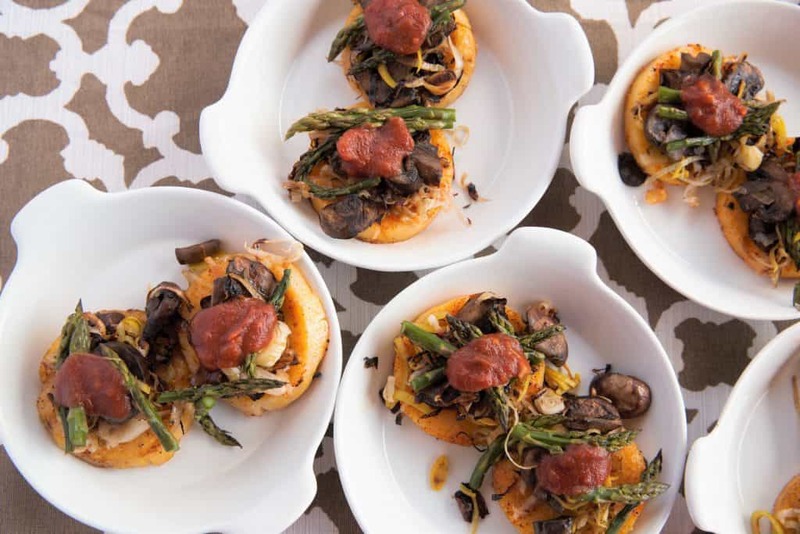 Feel free to substitute whatever is in your fridge because the grilled polenta is completely versatile and will taste great with any vegetables. Vegan, gluten free and dairy free. 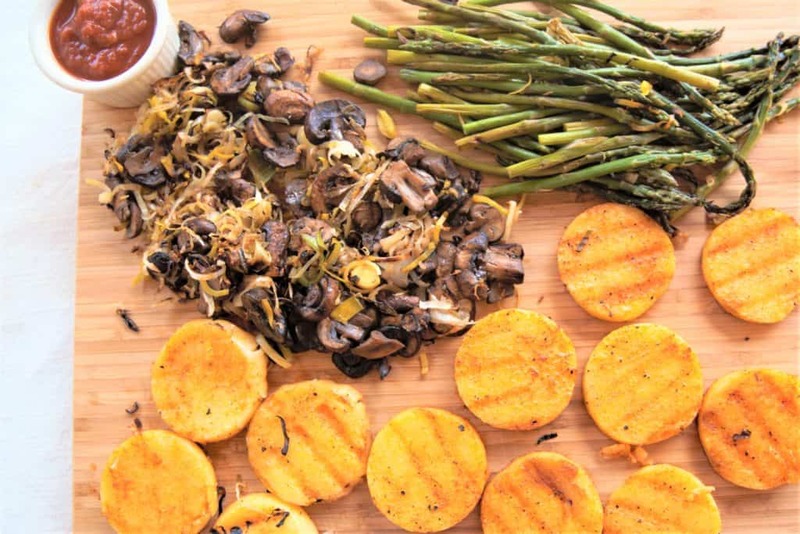 Delicious, quick, grilled polenta and vegetables is the perfect healthy meal or snack. Vegan, gluten free and dairy free. Place on flat surface and sprinkle salt, pepper, olive oil and smoked paprika. Turn over and repeat. 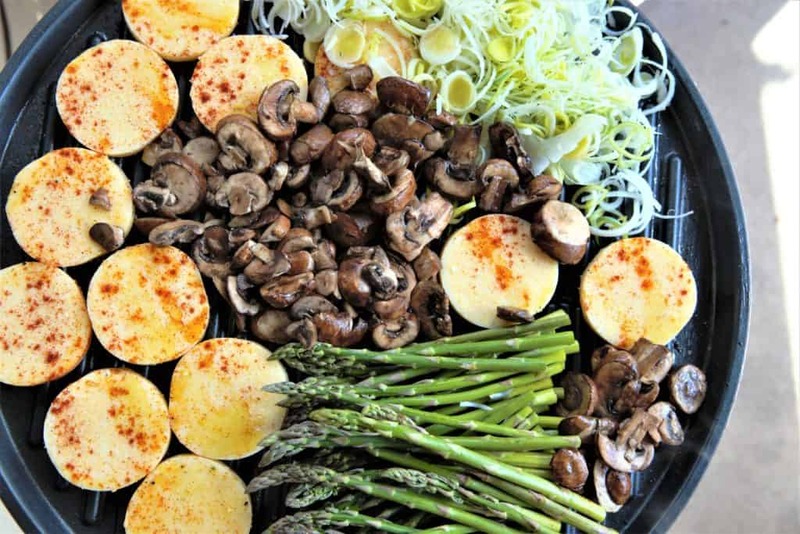 Add polenta, sliced leeks, sliced mushrooms and asparagus to grill, Do not slice asparagus until after it is cooked. 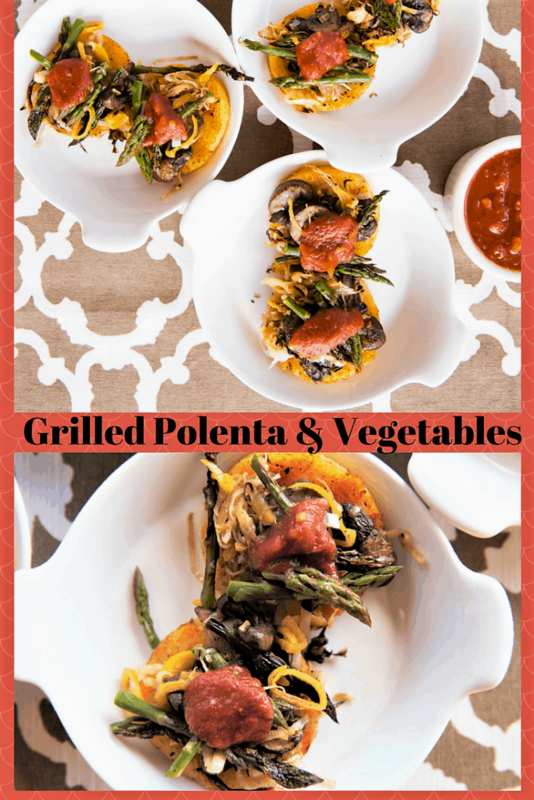 Grill temperatures vary, but grill your polenta and vegetables until cooked. Cook approximately 5 minutes on each side and turn halfway through cooking. Assemble polenta-add mushrooms, leeks, asparagus on top of polenta. Top with marinara sauce.